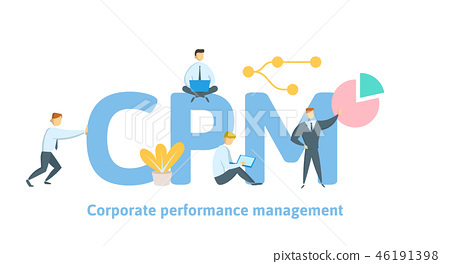 CPM, Corporate Performance Management. Concept with keywords, letters and icons. Colored flat vector illustration on white background.